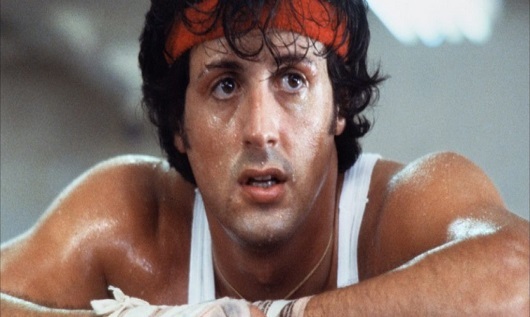 With the recent release of Creed 2, Rocky fans are once again reminiscing about the many highlights of the movie anthology. However, even among those aforementioned fans, there is the common belief that Rocky movies are far-fetched, serving up pure entertainment rather than any sort of realistic look at a boxer’s life. Rocky: In the original 1976 film Robert ‘Rocky’ Balboa, an unknown club fighter, is plucked from obscurity to fight then heavyweight champion Apollo Creed. Rocky defies the odds by lasting the full fifteen rounds only losing on a split decision (8:7, 7:8, and 9:6 on rounds). Reality: Sylvester Stallone was inspired to write the screenplay, which he wrote in just three and a half days, after watching Muhammad Ali defeat Chuck Wepner at the Richfield Coliseum in March 1975. Although Wepner was stopped in the 15th round, no one had expected him to last that long. Indeed, he gained much credit for the heart and durability he showed that night – and for the knockdown (whose legitimacy was disputed by some) of Ali in the ninth round. This fight then made up the backbone of a story about a gutsy underdog taking on the heavyweight champion, which we would later know as Rocky. Rocky: In the original film we see Rocky preparing for his big fight by running up the steps of the Museum of Art in Philadelphia (which would be repeated in later sequels), and pummelling a cow’s carcass like it was a heavy punch bag. Reality: The training methods mentioned above were used by a genuine Philadelphia fighter and boxing legend, none other than Joe Frazier himself! Although he made a cameo appearance in the movie as himself, he says he was never given credit for inspiring those scenes or given any royalties. Rocky: As the reigning heavyweight champion of the world Rocky agrees to participate in a charity exhibition match against the wrestling champion, Thunderlips (played by Hulk Hogan). The bout is fought under mixed rules with each participant sticking to their own code of combat. That was the idea anyway, but after an overly enthusiastic Thunderlips seemed to forget it was an exhibition bout, Rocky asked for his gloves to be removed so he could body slam the wrestler out of the ring. In June 1976 at the Nippon Budokan arena in Tokyo, Muhammad Ali challenged Japanese wrestler Antonio Inoki in a less than thrilling contest. Ali had set things in motion when he met the president of the Japanese Amateur Wrestling Association, Ichiro Hatta. “Isn’t there any Oriental fighter who will challenge me?” asked a boastful Ali. “I’ll give him one million dollars if he wins.” Inoki duly accepted this open challenge and the ‘fight’ was on. As was the case in the film, the boxer expected an exhibition bout, but it was the wrestler who took things far more seriously. “This isn’t an exhibition. It’s a real fight!” said Inoki in the build up to the contest, which crucially laid the seeds for the snooze-fest that followed. The ensuing bout saw the wrestler lie on his back for the majority of the 15 rounds while kicking Ali’s legs. Ali, on the other hand, only threw his first punch in round seven – he would only throw six in total! Ali’s representatives had witnessed an Inoki training session and really didn’t like what they saw. Fighting a wrestler seemed to be far more dangerous than they had initially imagined. This then led them to impose a set of restrictions which effectively took away most of Inoki’s grappling moves. The fight ended in a draw – which the wrestler would have won but for his three point deduction. Unsurprisingly, the crowd felt hard done by and threw rubbish into the ring. The story goes that so much rubbish was thrown that it took the janitor an entire working day to pick it all up. That gives you an indication of how disappointing the contest was. Rumours persist that the original idea was for an exciting, but stage-managed bout with Ali losing. Ali refused to agree to that, so the outcome was the real bout that everyone witnessed. Rocky: In the fourth instalment of the series, we see Russian boxer Ivan Drago fight Apollo Creed and later Rocky Balboa. What is interesting here is that Drago, an Olympic gold medallist and amateur champion, has no professional experience when he first enters the ring to face Creed, a former world champion. Drago beats Creed, knocking him out and, unfortunately, ending his life in the second round. 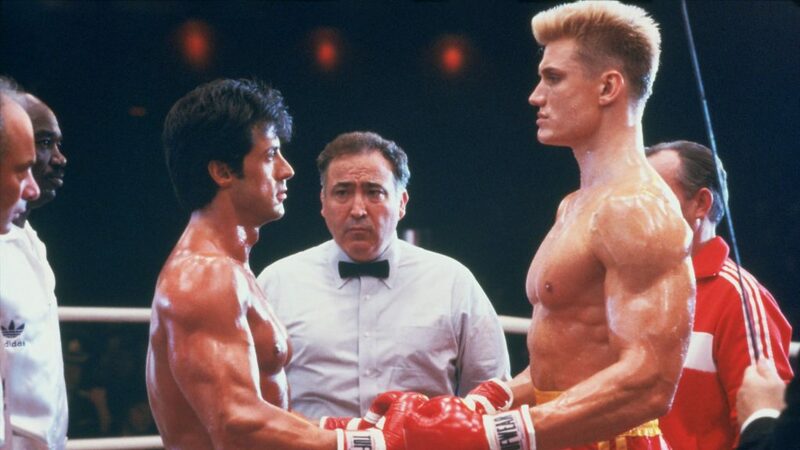 Later, in a grudge match, Drago is knocked out by Rocky (a two-time world champion) in the 15th round of their bout. Reality: So could an Olympic gold medallist really be pitted against such high level opponents from the outset of his career? Well, the answer is yes. After winning Heavyweight gold at the 1956 Olympics, Pete Rademacher challenged then champion Floyd Patterson in his first pro bout. Taking place at the Sick’s Stadium in Seattle in August of 1957, Rademacher was able to knock down the champion in the second round, but didn’t have as much luck as Drago – Rademacher was knocked down seven times before being stopped in the sixth round. 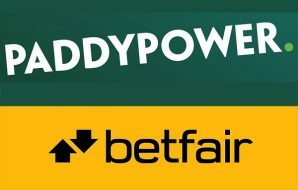 Although the outcome of Drago´s and Rademacher´s debuts differ greatly, there is the common theme of an Olympian without any professional experience facing a world level opponent . Rocky: Boxing analysts on a TV show debate who would win between now retired Rocky and current champion Mason Dixon (played by Antonio Tarver) if both were to meet in their prime. The TV show screens a computer generated version of how they think the fight would play out, based on each boxer’s skills and previous fights. The result is that Rocky wins (or would have won if the fight had happened) by knockout. Reality: In today’s world computer simulated versions of events are easy enough to come by. Not so in the 1960’s when a variation of this did take place. ‘The Super Fight’, as it was known, pitted the only two undefeated heavyweight champions in history (at that time), Rocky Marciano and Muhammad Ali, against one another. In this instance, both men had to actually get in the ring and be filmed sparring each other for over 70 rounds. The computer would then decide what the probable outcome would be. The result? 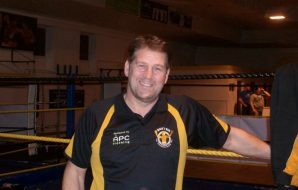 A knockout victory in the 13th round for… both boxers! Two official endings of the film were shown; the North American version had Marciano winning, whereas the European version had Ali as the winner. 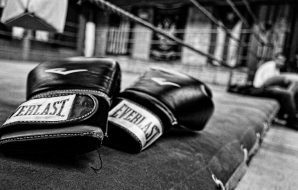 The story surrounding the fight is also quite interesting: The event came about after a radio producer, Murray Woroner, had created a fictitious radio serial where the best boxers in history faced each other in a knockout competition. Ali was defeated by Jim Jeffries, with Marciano defeating Jack Dempsey in the final. So incensed at ‘losing’ to Jeffries, Ali sued Woroner for defamation of character! The case was settled out of court (Ali picked up $10,000) and it was agreed a film version would be made with Ali facing the competition winner, Marciano. Shot in February 1969, 14 years after Marciano had retired; the Brockton Blockbuster had to lose a significant amount of weight and wear a wig to resemble his former self. Ali, on the other hand, was in the middle of serving his ban from boxing, so there were some reservations about using him in this project. However, the film went ahead and was shown in cinemas on January 20th, 1970 – around five months after Marciano had died in a plane crash. Ali, as with Marciano, had been unaware as to who the winner of the contest would be. Watching in America, he was once again furious that he ‘lost’ a contest, and again tried to sue Woroner for defamation of character. 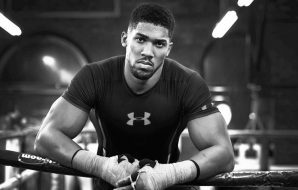 He stated that the public had been misled into believing the bout was real, but later dropped his lawsuit when he found out he had won in the European version of the fight. 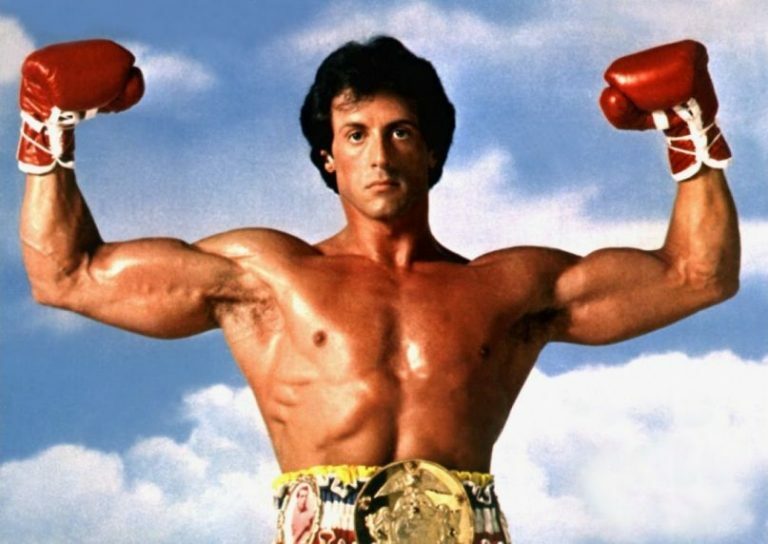 Aside from the points mentioned above, Rocky has been seen to star in TV commercials (Rocky II), lose his fortune (Rocky V), train boxers (Rocky V, Creed & Creed 2), and own a restaurant (Rocky Balboa); these are all things that many boxers have done and will probably continue to do in the future. So the next time someone tells you that Rocky is unrealistic or too farfetched, you now have a few real life inspired events to mention. 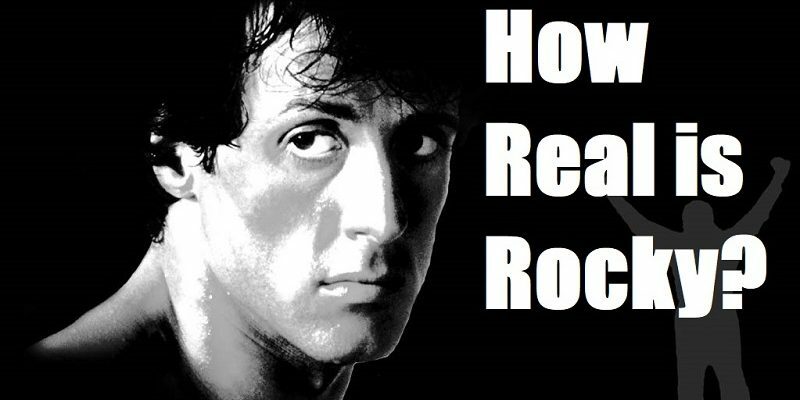 Where does Rocky rank in our list of Top 5 Boxing movies?